Ladies!! Do you ever feel like your outfits are missing that little flare that sets you apart? 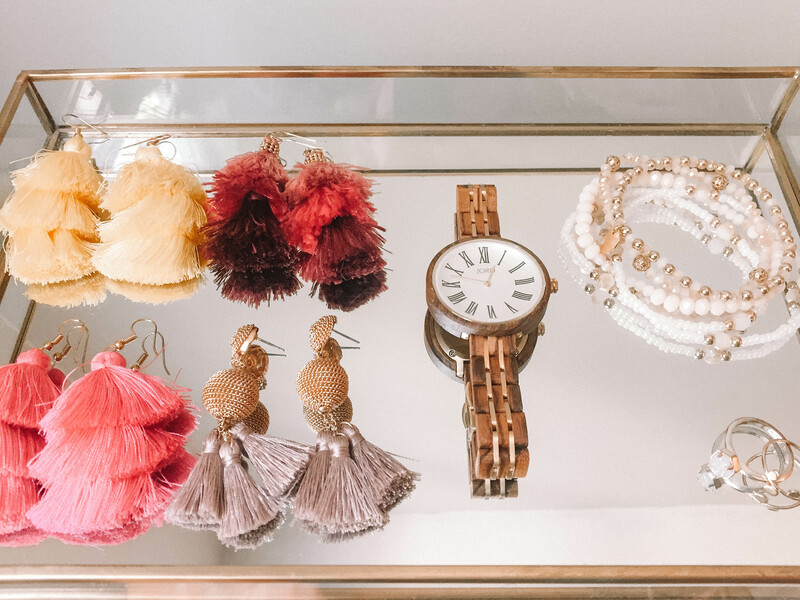 In my opinion, no outfit is ever complete without the perfect accessories. 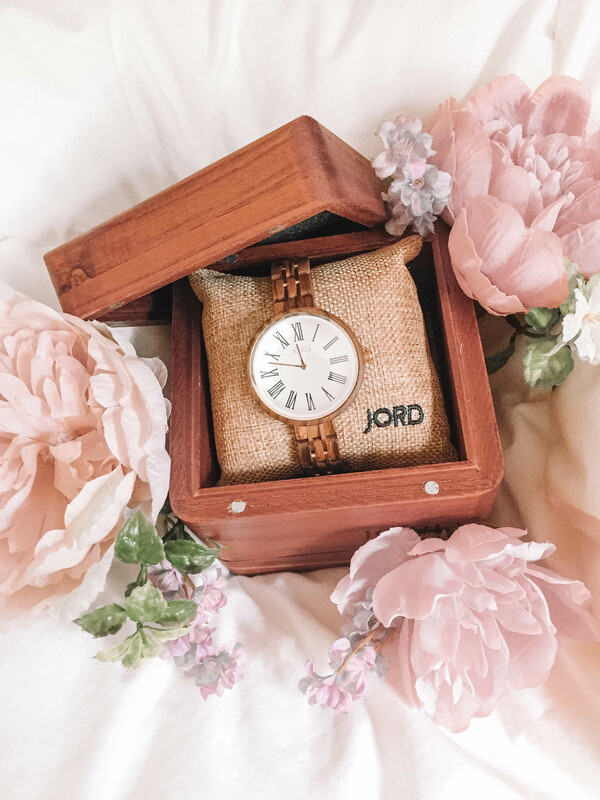 This stunning wood watch from Jord is the perfect finishing touch to any outfit. This beauty is from the Cassia Series in the color Zebra & Ivory. 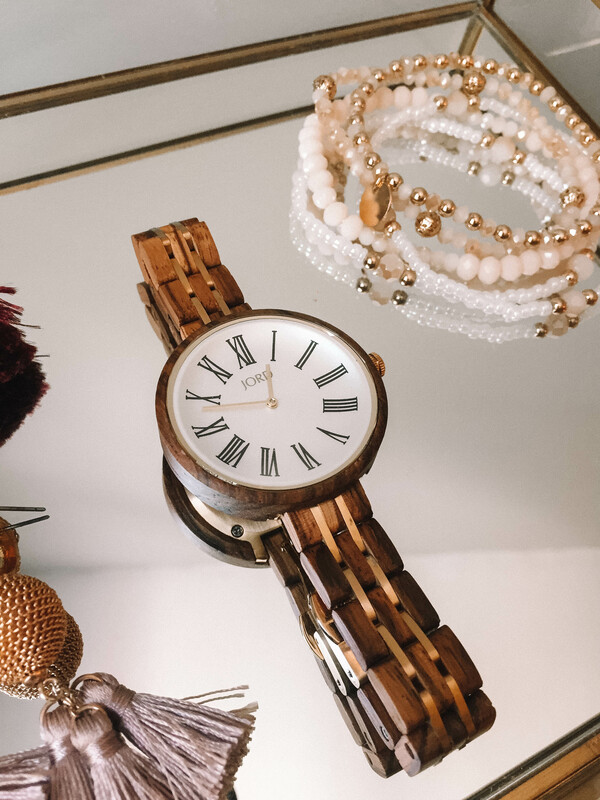 The beautifully grained wood and sapphire crystal dome will definitely turn heads! 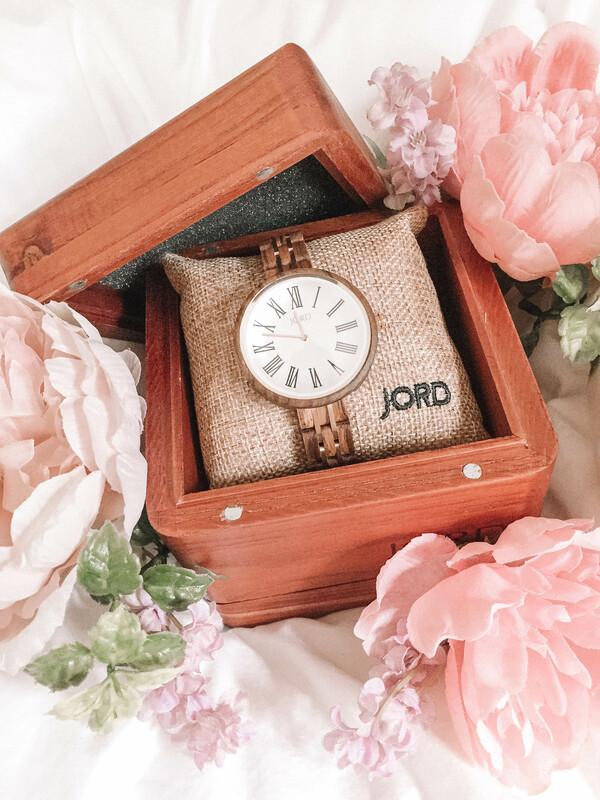 I am so extremely excited to be partnering with JORD to show off their beautiful wood watches. Before receiving my watch I was very eager but didn’t know what to expect. BUT HOLY SMOKES! I was absolutely blown away with a stunning watch that exceeded my expectations. It came packaged up in a beautiful wooden box which included multiple cleaning cloths, a cleaning pen, and extra links. I just cannot get over how beautiful the watch is and they even engraved my initials on the back plate. The quality of the watch and the attention to detail is impeccable. The watch is breathtaking and I always catch myself staring at my wrist. I am so happy that I am able to sport this lovely watch and I know it will come in handy. I am starting my student teaching in the fall and this will be on my wrist everyday! 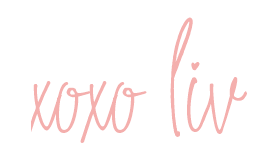 It will be so easy to transition into the crisp fall weather and I’m so excited to pair it with some comfy sweaters! In a few months I will be super busy with work and classes and this the perfect way to remain fashionably late! It is also perfect for work because it is so versatile and goes with everything! Want to know the best part? 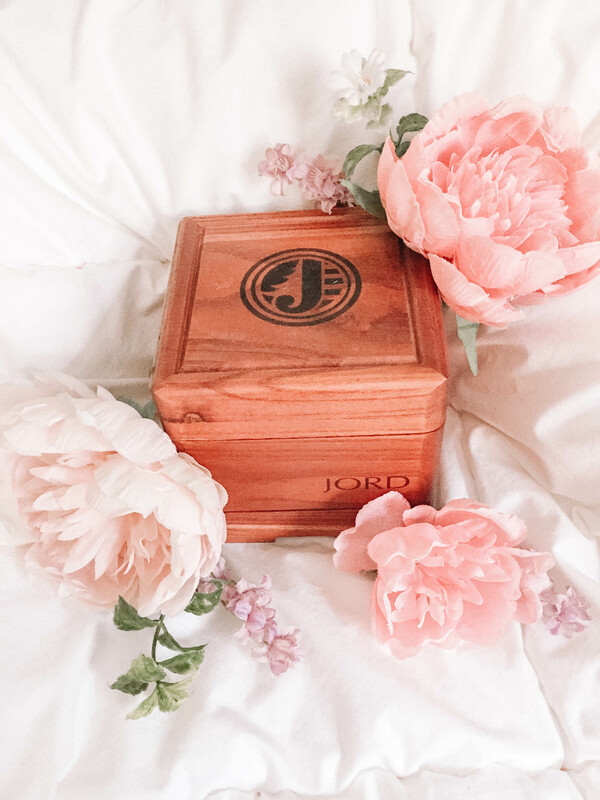 I am hosting a giveaway with JORD!! You can enter HERE! This will not only enter you to win a $100 gift card to Jord, but you will also receive a 10% off coupon code. I am so excited for one of you guys to win this!!! You will look amazing in your JORD watch! I know you guys will love your watch as much as I do!